After A Car Accident: Can I Still Rent A Car? Getting a rental car after you have been in an accident can certainly make the complicated time after a car crash less difficult for you and your family. Whether you need to get to doctor appointments, physical therapy, work if you are able, or take children to school, having a rental car makes these things easier. At Carr & Carr Attorneys, we can assist you with this sometimes-complicated process. After you’ve been injured in a car wreck, Carr & Carr Attorneys can make the process of renting a car easier. When can I get a rental car? How and when you can get a rental car depends on which insurance company you are dealing with. At Carr & Carr Attorneys we have individuals who deal with these companies daily and can assist in obtaining the rental car you need. If you have rental coverage under your own insurance policy — your insurance company representative will be able to help you with renting a vehicle. You should be able to get a car in just a couple of days. Call your insurance agent if you are not sure whether you have purchased rental coverage. It is typically not an option to add rental coverage immediately after you have been in a wreck to cover your recent accident. If you do not have rental coverage on your policy — the insurance company of the person who hit you is responsible for approving your rental car. That insurance company will research the crash and establish liability to help determine whether they will authorize a vehicle be rented to you. This process might take a week, or even longer in crashes where the insurance company disputes liability on behalf of its insured driver. Proof of your full coverage insurance which means both comprehensive and collision. Your car insurance policy probably already covers this but take your paperwork to make sure your coverage is adequate. The rental company can also provide you with this coverage but it will cost you additional money out of your pocket. If your policy covers this, there is no need to buy it from the rental company. Credit card or cash — Rental car companies require either a credit card or a cash deposit. When you return their vehicle in good condition, your credit card is not charged or your cash deposit is returned to you. A valid Oklahoma driver’s license — You will need to present your current license when you pick up a rental car. Must be at least 25 years old — Younger adults typically are not allowed to rent a vehicle due to rental car company regulations. Call the car rental company before going there (an airport or local office) to make sure you bring the proper paperwork that they will need from you. May I choose the type of vehicle I want to have? 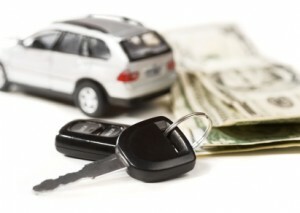 The type of vehicle that is rented is determined by the party paying for the rental. Unless special needs — such as a van with wheelchair features — are involved, the insurance company will approve a compact to mid-size rental vehicle. How long can I keep the rental? The company paying for the rental car will establish this. If your vehicle is determined to be a total loss (meaning it is no longer safe to drive and repairing it is not a good financial decision), normally you will be able to keep the car for five days after you have received a settlement offer. If your vehicle is considered repairable, you should be able to keep the rental until repairs are finished and your vehicle is returned to you. Can I let other people drive the rental car? Typically, the answer is no. Only the person renting the car can legally drive it and the paperwork you will sign usually indicates this. However, for an extra cost that comes out of your pocket, you can add other drivers, but you should definitely talk with the rental car provider about options. Is the insurance company required to provide a rental car for me? Paying you a “loss per day” amount — this amount is the rate they can rent a car for, so in theory you could rent a car for that amount also. However, many insurance companies will reimburse you for only actual out-of-pocket costs that you have paid. Because each insurance company may handle rental car agreements differently, you should talk with the car rental company and insurance representative before renting a car on your own. As you can see obtaining a rental vehicle can be a confusing and difficult process at times. At Carr & Carr Attorneys, we work to make this process less stressful for you and your family. If you have been injured in a traffic accident that was not your fault, contact Carr & Carr Attorneys to see if we can help you determine what steps you need to take.